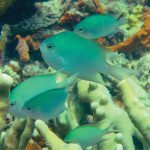 When NOAA released its plans to add 20 coral species to the list of threatened species, the reef aquarium hobby took a hit. Not only does it mean our right to keep those 20 species, (many of which are popular aquarium corals) will be under the microscope, it adds public stigma to reef aquariums, making reefers appear, “like those people that want to keep endangered species.” Suddenly, we may appear more like the weird lady who has tigers in her backyard, or a chimp in her living room. In reality, reef aquarists are miniature versions of the staff seen at public aquariums, dedicated, smart, innovative and caring. More than a few of my friends in oceanic conservation don’t fully understand what keeps me, and millions of others, in a hobby that takes from Mother Nature. What they don’t know, is that dedicated reef aquarists understand coral biology, like no one else, and have helped pave the path, to not only a sustainable hobby, but re-populating threatened reefs. In 2010, I had the distinct honor of working with Ken Nedimyer, of the Coral Restoration Foundation (CRF). In the Florida Keys, Ken is working to save planet Earth’s third largest barrier reef, by re-populating it with maricultured corals. It’s a slow and tedious process, and CRF uses massive underwater nurseries in the Caribbean, to grow species that are in stark decline. 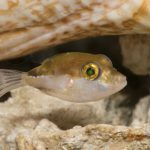 The Caribbean species that were on NOAA’s threatened list prior to the new ruling, are all species Ken focuses on, in his restoration efforts. As I swam along the tract of artificially created reef, surveying the intricate work done by CRF, a thought occurred to me. Why not tap into a network of aquarists, worldwide, to help contribute to this program. The mariculture systems used by CRF have some problems, which we can easily control in aquaria. A coral nursery in the ocean, cannot be protected from in climatic weather, (such as 2013’s severe drop in temperature throughout the south) hurricanes, or predatory species. 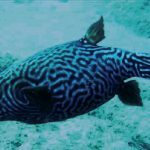 Flamingo tongue snails, which are common throughout the Caribbean, would destroy any attempt to mariculture gorgonians, and the keys are home to numerous parrotfish, all of whom consume coral. It seems like a natural fit, use aquarists as an engine to restore the ocean, not destroy it. 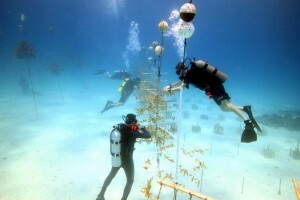 If granted a license from NOAA, to propagate corals needed to restore the Florida Keys barrier reef, the turn-out from interested aquarists could possibly be immense. At your disposal are thousands of people, educated on coral biology, and capable of propagating the species that are needed in a totally controlled environment. Many of us are even scuba divers, who could assist transplanting the coral into their oceanic home. An entire workforce, right here, trained and ready to take action. Ken himself isn’t shy when discussing the downsides to the CRF’s efforts. There are setbacks, and the nature of growing corals in and of itself, requires patience that the Florida Keys barrier reef cannot afford. No matter how it’s spun, the NOAA ruling will not help public perception of reef aquarists. The public at large, doesn’t know the hours of personal study, sacrifice, time and capital we have placed into our aquariums, or our knowledge of wild reef ecosystems. They don’t understand how coral, likely means more to a seasoned reef aquarist, than it does anyone else, and that the last thing any of us want to see are dead wild reefs. So perhaps, bringing reef aquarists into the fold of marine conservation and restoration, instead of portraying us as ruthless environmental takers, would offer a better long term management plan, not only for NOAA but organizations like CRF. 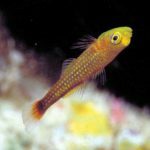 It will be impossible for aquarists to contribute to reef restoration, or progress our knowledge of coral biology, if the government tells us it’s legal to house many great beginner species. 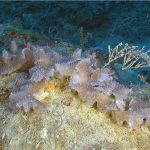 Frogspawn, which appears on the NOAA list, is a popular beginner coral, and helps pave the way for aquarists to understand more complex and demanding species. Since 2008, the diving industry saw a sea change, (no pun intended) in promotion of conservation and science diving. I was lucky enough to be involved in it, as a science instructor for the Beautiful Oceans academy. We helped conservation outlets GPS map reef systems, while empowering resorts worldwide, to teach their visiting divers about coral reef biology. The program went well, until PADI (Professional Association of Dive Instructors) upped their internal conservation, ecological diving programs, making the need for an independent third party disappear. 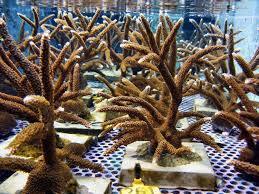 There is no reason why the reef aquarium industry cannot do the same. I believe, if NOAA would unclench their fist, and open their hand, they would find that aquarists worldwide are willing to answer such a call.